Golf tournament organized by Altera raises major donations for Resource Area for Teaching. Thousands of educators rely on RAFT to provide their students with innovative STEM learning experiences, and because of Altera’s help, we’ve been able to further our mission. Altera Corporation hosted its third annual Altera Foundation Cup charity golf tournament in September to raise funds for Resource Area for Teaching (RAFT). RAFT serves 7,500 educators and 600,000 students each year in the Bay Area, striving to spark the love of learning for the next generation of thinkers, innovators, problem solvers, and creators. Headquartered in Silicon Valley, California, Altera has been supplying the industry with access to the latest programmable logic, process technologies, IP cores and development tools for more than 30 years. “This is Altera’s third fundraiser for us and we really appreciate their generosity. Thousands of educators rely on RAFT to provide their students with innovative STEM (science, technology, engineering, and math) learning experiences, and because of Altera’s help, we’ve been able to further our mission,” says Grainger Marburg, CEO at RAFT. The tournament and a reception was held at The Golf Club at Boulder Ridge in San Jose, California. Sponsors included Altera, Macnica, Cisco, EMC, Arrow Electronics, Stevens Creek BMW, Digi-key, Intel, NetApp, Microsoft, Jabil, Amkor, Linear Technology, Rochester Electronics, Aseus, Mouser, ISI Nallatech, Cypress, F5, Citrix, Cavium Networks, NTT America, Sprint, and Equinix. “It was really great to see the large turnout. Over 120 golfers participated and $60,000 was donated. It’s wonderful to know that we can come together as a community and support such an important cause like RAFT,” says Mark Nelson, Senior Vice President of Worldwide Sales at Altera. 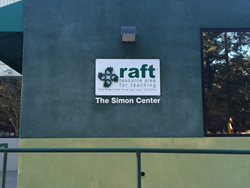 RAFT recently reached a milestone of 3 million cubic feet of donated materials. Upcycling these materials enables RAFT to deliver an abundance of affordable hands-on learning materials and supplies for educators and their students while also utilizing materials that would otherwise end up in landfills. The generous donation from Altera will allow RAFT to work with even more educators and provide additional hands-on education resources that engage students and increase their learning comprehension. RAFT was created on a simple yet powerful idea: that students learn best when they are active in the learning process and can use hands-on techniques that will better engage them. And hands-on learning has proven to deliver a richer, deeper understanding to students, especially in STEM subjects. Many of RAFT’s hands-on learning activities are crafted from reusable recycled materials, the sorting and distribution of which, has been made possible by donations from companies like Altera. If you would like to make a corporate donation, please send an email to cstrong(at)raft(dot)net.